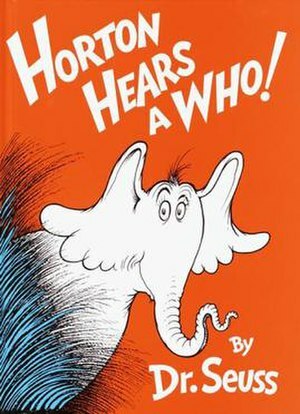 I know this is one of the best known Dr Seuss books, but I hadn’t ever read it, so far as I can recall, until now. DH found this and the two Cat in the Hat Books I also read DD tonight in a 2nd hand bookshop a few weeks ago, so he read them to her first. I think she’s getting more of a sense of us doing something she’s supposed to enjoy when we read to her now, but at five months she’s not really clamouring for stories as yet. There’s time for that to come! As with the Cat in the Hat stories, there’s a fair bit of apparently good willed arrogance and really bullying in this story, but things do work out in the end (if not so much along the way). I suppose that means there’d be lots to discuss during and after reading the rhythmically rhyming story with all the bounce and verve the words demand.